Lock in a great price for Best Western Tiverton Hotel – rated 8.5 by recent guests! Room was very large and very clean. Receptionist very friendly and knowledgeable of the local area. Onsite car parking was very useful and being next to the motorway turnoff helped a lot to get down to exmoor the next morning. The bed was super comfortable. Spacious room. Excellent food. Friendly, polite and helpful Staff. Beautiful bathroom. Hot chocolate provided! The hotel was well located for driving to various local attractions. Our room was quite comfortable and plenty of on site parking. IT support by staff when trying to charge a 110v iPad on a 220v outlet. Comfortable room with a good breakfast. A comfortable hotel with good facilities and restaurant. Value for money in an excellent location. 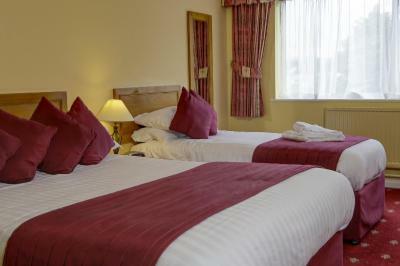 Staff were friendly and helpful and the room was well appointed and spotlessly clean. The room was spacious, with a table and chairs, bureau drawers, open closet space, luxury toiletries. Breakfast buffet was ample, with cold cuts and cheese as well as yoghurt, cereals and full English breakfast, tea or coffee. The ham and cheese omelet was fluffy, large, tasting of both cheese and ham. Fast wifi. Quiet location. Walking distance to Tesco, or to town. Easy access to nearby sights, as location is on the periphery of the town. A surprising find! Incredibly clean, comfortable hotel. Beds were really good and staff efficient. An FYI for business travellers, there’s a couple of Van sized car park spaces which is really useful. It's nice to be able to say that the hotel room was comfy, clean, large by modetn hotel standards and everything worked. 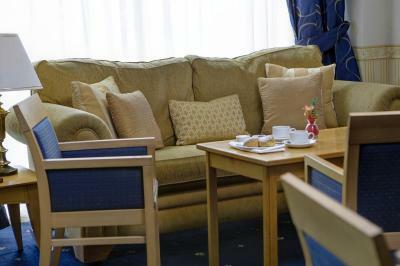 Best Western Tiverton Hotel This rating is a reflection of how the property compares to the industry standard when it comes to price, facilities and services available. It's based on a self-evaluation by the property. Use this rating to help choose your stay! One of our top picks in Tiverton.On the outskirts of Tiverton, Best Western Tiverton Hotel is just 20 minutes from Exmoor National Park. 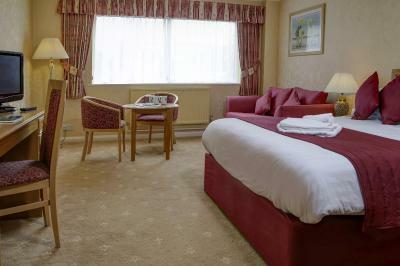 Set in mature grounds, the hotel has free parking, free Wi-Fi and a restaurant. 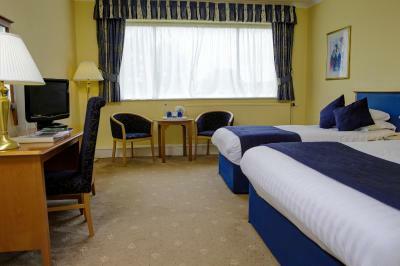 The spacious bedrooms at Tiverton Best Western each have a private bathroom and tea and coffee facilities. All rooms have a sitting area and satellite TV, and ironing facilities are also available. 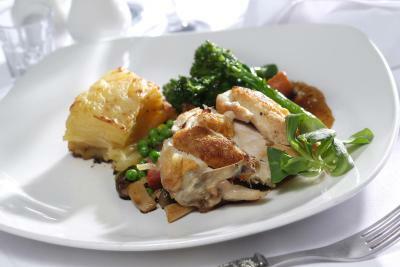 The Gallery Restaurant serves traditional, regional cuisine using fresh local produce. Light lunches and fair-trade coffees are served in the cozy lounge bar, and a generous breakfast buffet is available each morning. Just 30 minutes’ drive from Exeter, Tiverton Hotel is situated in the heart of Devon, in the beautiful Exe River Valley. The rugged North Devon coastline is a 40-minute drive and highway M5 is just 5 miles away. 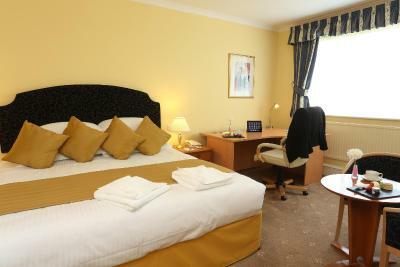 When would you like to stay at Best Western Tiverton Hotel? 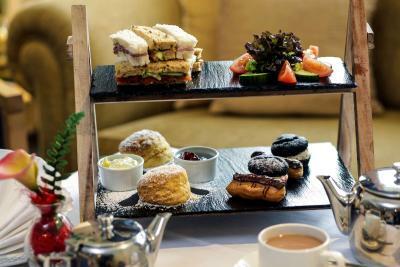 House Rules Best Western Tiverton Hotel takes special requests – add in the next step! Best Western Tiverton Hotel accepts these cards and reserves the right to temporarily hold an amount prior to arrival. Can’t really complain, yes the hotel itself is in need of a facelift but as mentioned, it’s very clean and well maintained so it’s purely aesthetics over need. The mattress was softer than I like but this is a personal thing and doesn't detract from my positive assessment of the hotel. However, if I found it soft, others will too. More options for vegetarians on the menu. What’s not to like ! Staff really helpful and friendly. Dinner was excellent and good choice of foods for breakfast. In my experience most hotels when booked through booking.com tend to give you substandard rooms, that have not been updated, compared to you booking direct. Reception staff were pleasant, but bar staff were a bit cold. The food is over priced. The accessible bathroom is very old fashioned and doesn’t match minimum legal requirements for wheelchair users. No side transfer space and no real space for a carer. Card key disabled itself and left us locked out on two occasions. Hot water in wash basin a mere trickle! Both reported to staff. Staff were so helpful and welcoming!! Room was spacious and comfortable. Would recommend for a short stay!